The first series of Game 7’s the NBA playoffs have bestowed upon us gets under way, with the Memphis Grizzlies visiting the Oklahoma City Thunder, the Golden State Warriors hosted by the Los Angeles Clippers and the Indiana Pacers hosting introducing the Atlanta Hawks. A big blow for the Grizzlies will be missing their leading scorer, Zach Randolph, for punching Steven Adams in the previous game. He is suspended, which might make this one something of an anti-climax to the entire series, as the Grizzlies have struggled this season when not in a full lineup. Randolph has been their top scorer in the series and 50% of why Memphis have been so dominant in the paint. It’ll come down to the Grizzlies being able to force this game into half court possessions, which means bad shooting percentages and bad decisions for Kevin Durant and Russell Westbrook, and hoping that Mike Conley learns from his mistakes in the first game. 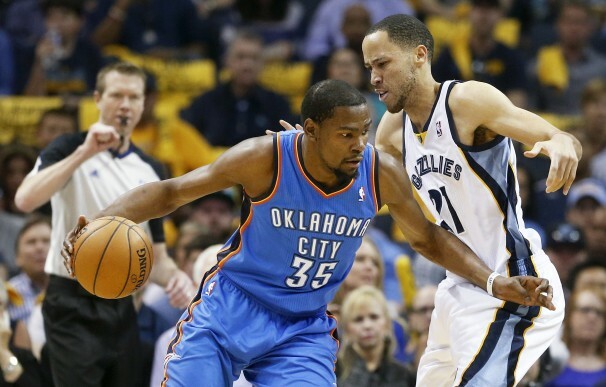 But everything begins for the Grizzlies by defending and winning battles in the paint. If it comes to a track meet and scoring talent, the Thunder won’t even need to be efficient in order to win. The weird series that should feel a lot more intense but has a different vibe because of the Sterling comments will be concluded in Los Angeles, as the Clippers will try to avoid their weakness and frailty from the first game. 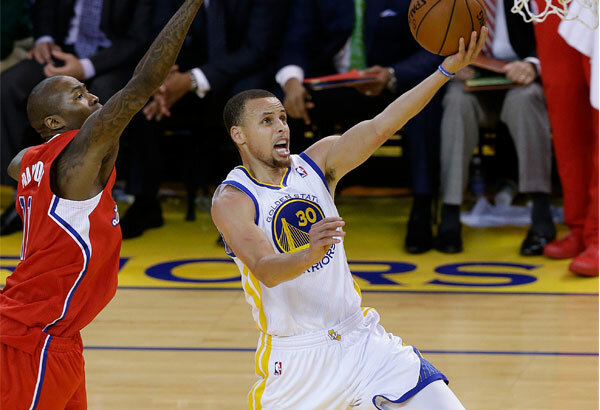 Attacking from the first moment and crashing the boards is a must, because if they plan on trying to catch up with the Warriors after a slow start, this series has shown us it’s not going to happen. The Warriors will need to win down low once again, which means the work begins with the excellent perimeter defense from Andre Iguodala who has also found his offense all of a sudden (13 points per game in the series), and the huge play on both ends of the floor from Draymond Green, while getting the bonus of a much more confident and reliable Harrison Barnes, feeling a lot more comfortable than in the regular season. 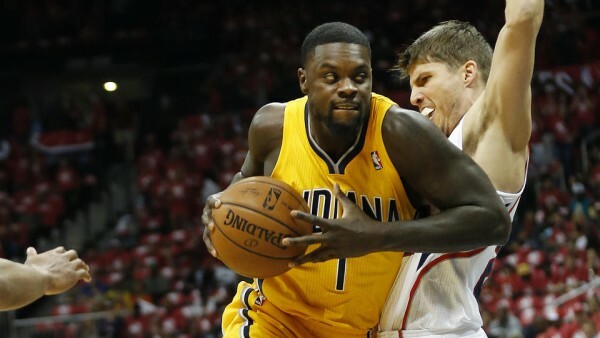 The series between the Atlanta Hawks and the Indiana Pacers just might be the weirdest one in the postseason. The Pacers aren’t playing well, but the Hawks are so limited in what they can throw at a slumping Indiana team that it might be enough for the #1 seed to somehow push through and reach the conference semifinals, bouyed by some unexpected momentum they’ll be suddenly carrying. Vogel needs to forget about Hibbert, who needs a break and maybe some mental work to get back to where he was. Paul George and David West can handle it on their own, but this series will probably be decided on how well the Pacers defend the Hawks’ ball movement, and if trying to be more specific, it’ll come down to how well the Hawks shoot from beyond the arc.